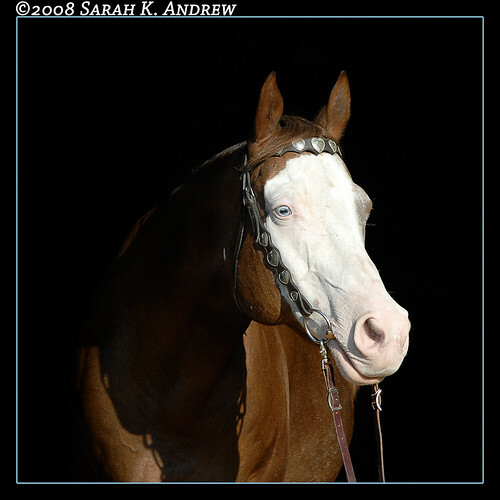 Jesse is a 16 year old double-registered APHA/AQHA gelding. He’s a seasoned show horse with experience in everything from halter to western pleasure to barrel racing. He has a wonderful disposition. Jesse has a bald face and two blue eyes. Horses with blue eyes tend to be more sensitive to the sun and Jesse’s pink nose burns easily so his owner applies sunblock and a fly mask to protect him from the elements. 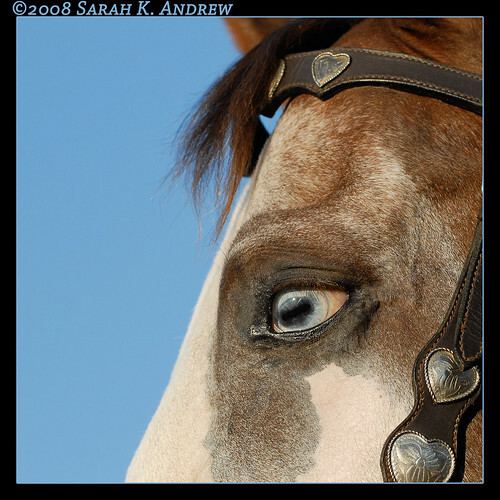 Some people think that blue eyes look eerie on a horse, but I think that they are lovely. Thanks for the pictures of his blue eyes. 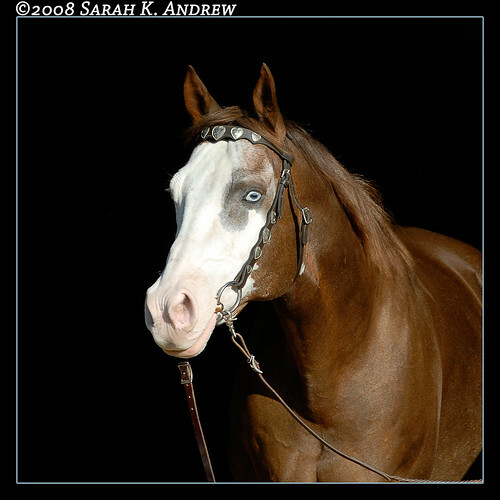 I am painting a horse with blue eyes and this image is good for reference. You do beautiful work with the photos! I’ll check out your recent work, too.